Ladies and Gentlemen, please rise and welcome Minister Jonah Goodwill for the inauguration ceremony! The Minister of Evil is going to take office and unleash to you, the scariest nightmares to life once again! 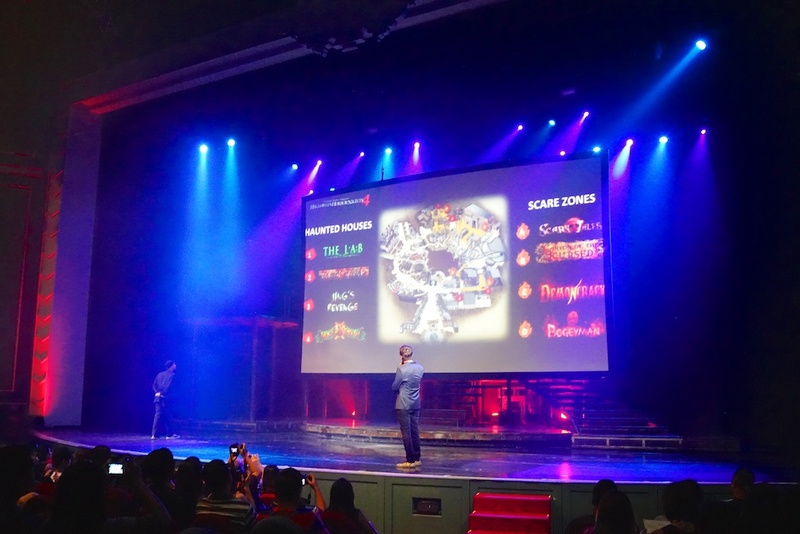 The Minister of Evil is taking office for Halloween Horror Nights 4 and they will deliver the most number of event nights, the most number of haunted houses and scare zones for Halloween Horror Nights at Universal Studios Singapore! Minister Jonah Goodwill is not unleashing Democracy but “Demoncracy”, it’s a new social order, an uprising of a something very special. The demons will be awakened, clowns and fairy tales will turn loony and urban legends come alive. When the Minister of Evil unleashes “Demoncracy” upon the park, the guests will have nowhere to hide! 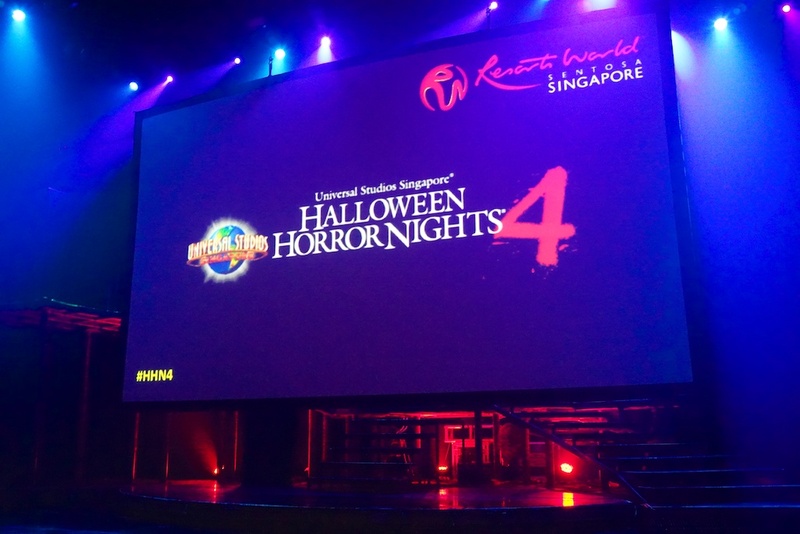 Will you be ready for FOUR haunted houses and FOUR immersive scare zones for Halloween Horror Nights 4 this year? The haunted houses will be located across New York Zone and Lost World Zone. Coulrophobia strikes as guests enter the world of a loony killer clown at Jack’s 3-Dementia; bullying in school takes a nasty twist when the victim returns to torment any who walk through the corridors at Jing’s Revenge; soldiers are put through sadistic training at Mati Camp and to top things off, evil aliens designed to extinguish the human race are born in test tubes at The L.A.B(Laboratory of Alien Breeding). More details and back stories of the haunted houses and scare zones will be unveiled over the next few days on the event website at www.halloweenhorrornights.com.sg. Not only will you, the fans of Halloween Horror Nights 4 have sneak peeks, you stand to win horrific prizes on their social media platforms. Halloween Horror Nights 4 runs for 13 nights over five weekends, from 3 – 5 October, 10 – 11 October, 17 – 18 October, 22 – 25 October, 31 October and 1 November 2014, from 7.30pm to 1.30am each evening. The theme park will close earlier at 6.00pm on event nights. Selected rides and attractions will be open during the event, including TRANSFORMERS The Ride: The Ultimate 3D Battle and Shrek 4-D Adventure for guests looking to extend their day experience. Early-bird special tickets, priced at S$60 (usual price S$68), will be available from 25 July onwards. 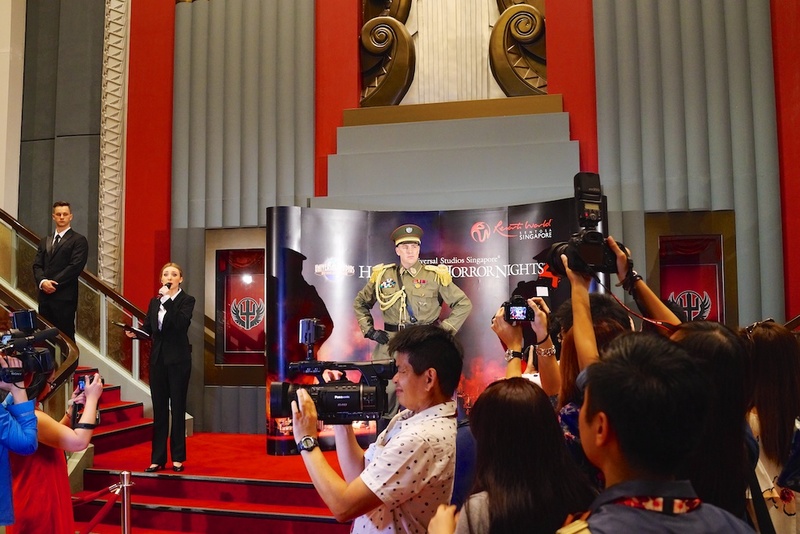 To enhance the experience of the event, guests can choose to skip the queues with the premiere R.I.P Tour, escorted by a personal guide. Limited Early-bird R.I.P Tour packages are available at S$158 (usual price S$198), as well. The Frequent Fear Pass will also be making a comeback this year. Frequent Fear Passholders can revisit the event as many times as they like, on 7 of the 13 event nights (3 – 5, 10, 17, 22, 23 October) at a price of S$118. Special pricing is also available for Resorts World Sentosa hotel guests, corporate and bulk purchases, Universal Studios Singapore Annual Passholders and daytime theme park guests. RWS INVITES members enjoy an exclusive ticket price of S$50, as well as a priority admission into the park. For the convenience of outbound guests, RWS 8 shuttle bus services will be extended to 3.30am on event nights. Night Rider services continue to operate during weekends. Advance purchase is strongly recommended and tickets are available from 25 July at www.halloweenhorrornights.com.sg, www.rwsentosa.com, or call +65 6577 8899. 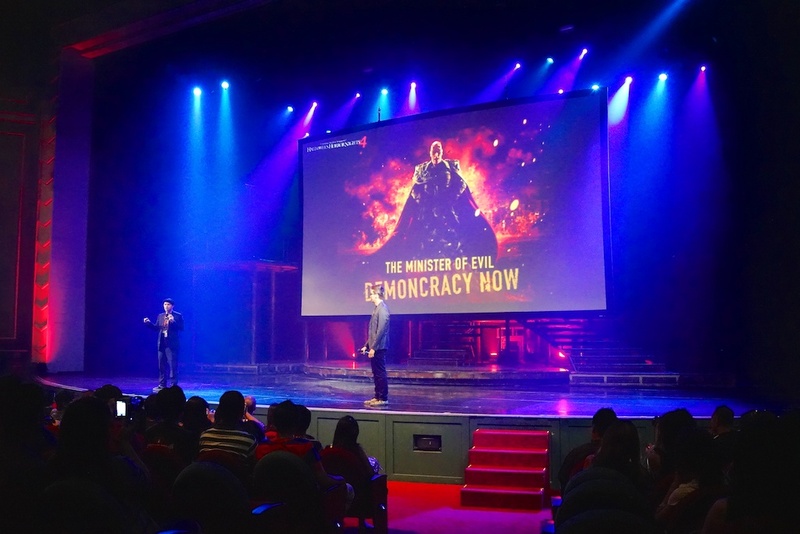 As we now officially welcome our new Minister Jonah Goodwill, the Minister of Evil for “Demoncracy” at Universal Studios Singapore, for Halloween Horror Nights 4. Are you ready to visit “Demoncracy”? I would like to thank Resorts World Singapore for the invitation to Minister Jonah Goodwill inauguration ceremony! Do check out the photos here on my Flickr collection!